We Have Continually Grown By Providing Quality Deals At Low Prices. 100% Genuine. You can expect a fully functional product. 100% Original. This is LIKE NEW OPEN BOX. We are not an authorized Apple dealer and Apple warranty may not be available. This product was imported and may include material differences from the Apple products authorized for distribution in the United States. The fold stand allow you to put your iPad on most surface without falling. 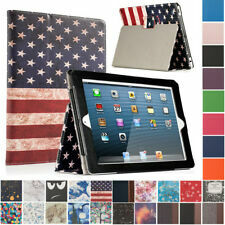 Diamond Stone and Diamond Grid Design that give you iPad a unique Design with Great Protection. Enables the new iPad sleep mode when folded and turns back on when opened. • The Smart Cover automatically wakes your iPad when opened and puts it to sleep when closed. • It folds into different positions to create a stand for reading, viewing, typing, or making FaceTime calls. • It's easy to remove, so you can snap it on and off whenever you want. • Note: This fits the iPad mini 4 only. 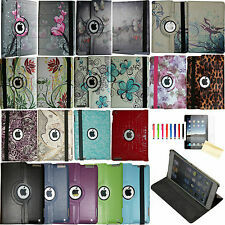 Apple iPad Smart Cover MD302LL/A Leather Blue Compatible iPad 2/iPad 9.7" NEW! 5 out of 5 stars - Apple iPad Smart Cover MD302LL/A Leather Blue Compatible iPad 2/iPad 9.7" NEW! 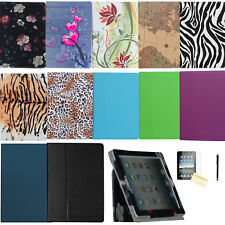 10 product ratings10 product ratings - Apple iPad Smart Cover MD302LL/A Leather Blue Compatible iPad 2/iPad 9.7" NEW! Support Stand function,release your hands.Book style PU leather case, two stand positions. Compatible Product Line: iPad 2,3,4. Solid enough to prop up your Ipad while watching movies, reading books. Design to works with the Original OEM Apple iPad 2 Smart Cover ( Leather or Polyurethane version ). Designed specifically for the Apple iPad 2 (2nd Generation). Stylish and elegant design with strong and durable protection for your new device. 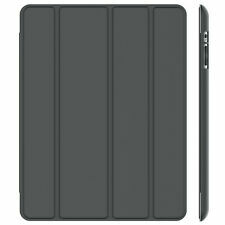 This is a Used IPAD MINI 4 SMART COVER-CH GRAY-ZML. Apple iPad Smart Cover for the iPad 2 and iPad 3 (Leather ,Tan)iPad 9.7" NEW! This clever cover not only provides a way to protect the screen of your iPad 2 and 3. that the iPad 2 and 3 can lean against for a far more comfortable. The tan LeatheriPad Smart Cover for the iPad 2 and iPad 3 from. 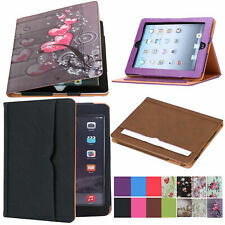 4 out of 5 stars - Apple iPad Smart Cover for the iPad 2 and iPad 3 (Leather ,Tan)iPad 9.7" NEW! 9 product ratings9 product ratings - Apple iPad Smart Cover for the iPad 2 and iPad 3 (Leather ,Tan)iPad 9.7" NEW! New iPad Pink Smart Cover. New iPad Smart Cover. Magnetic technology- see photos for more information. For iPad 2, 3, 4. Pink color. If the box is heavier than 2 lbs. I will do my best to solve it. It automatically put your iPad 2 in sleep mode when folding and turn back on when you open the cover. The case is made from high quality PU leather which gives you the exact outlook as the Apple smart cover. Genuine Apple iPad 2 3 4 Smart Cover great condition OEM Blue magnetic case. Condition is Used. Shipped with USPS First Class Package. So much more than a case, the Smart Cover was designed alongside iPad 2 to be its perfect match: a thin, durable cover that magnetically aligns for a perfect fit. 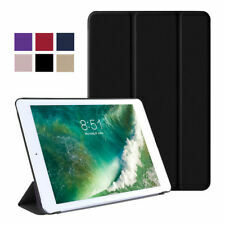 The slim, yet sturdy Smart Cover protects your iPad screen without covering up its durable aluminum back. This case is also ideal for people who already have the Apple "SmartCover.". SOLUTION: This Macally "Smart-Mate" is designed specifically to work with the Apple "Smart-Cover.". Simply snap this case on the back of your iPad.